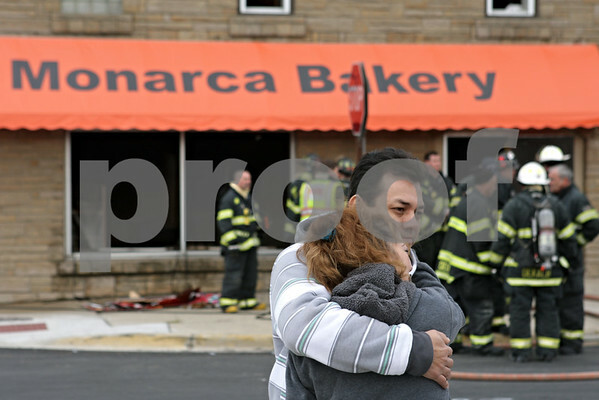 The owner of Monarca Bakery, Mario Ortiz, in DeKalb embraces his wife, Laura Ortiz, as DeKalb firefighters investigate the aftermath of a fire at the business on Tuesday, Oct. 22, 2013. "I don't know how to take it right now," said Ortiz when asked about the fire. Ortiz opened the business about a month ago and added, "it was a short dream."